AgSalt is a small family business, owned and operated by three partners and a team of dedicated employees. The company specializes in providing distributors with premium ice melters while protecting customers' concrete surfaces and turf. 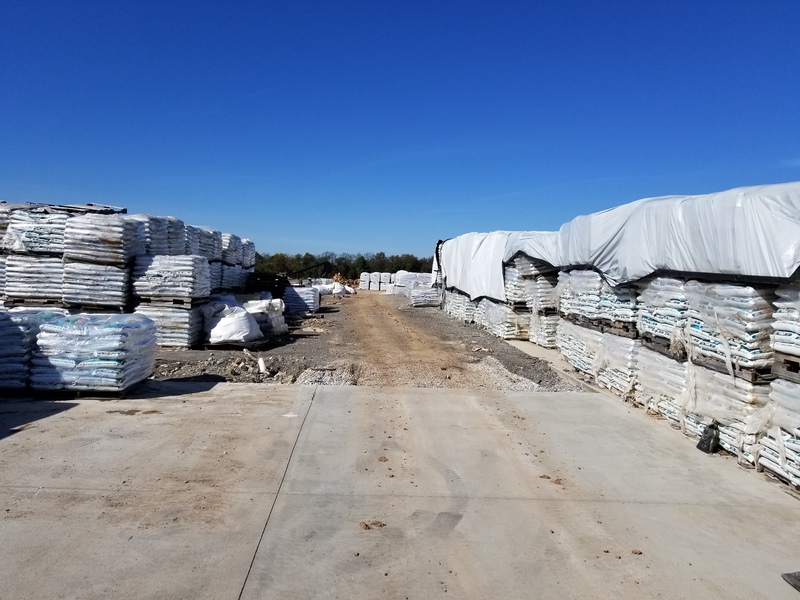 With a large storage yard and frequent tractor trailer loadings, the company was in need of a pavement that could carry the heavy loads with minimal maintenance. 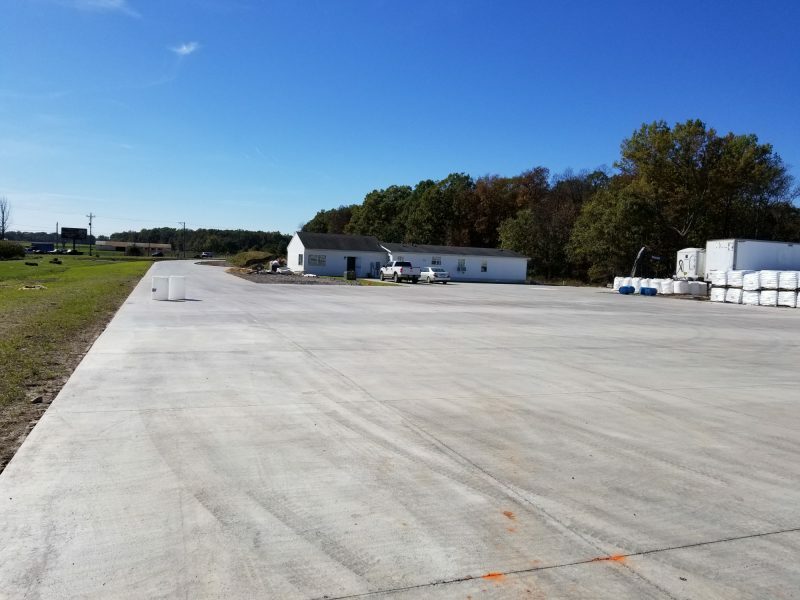 Sales Manager Dalen Grove sat down with the Pennsylvania Aggregates and Concrete Association Director of Concrete Promotion Ken Crank and shared why AgSalt selected concrete for their construction project. “We chose concrete over asphalt mainly because we have very heavy truck and tow motor traffic. 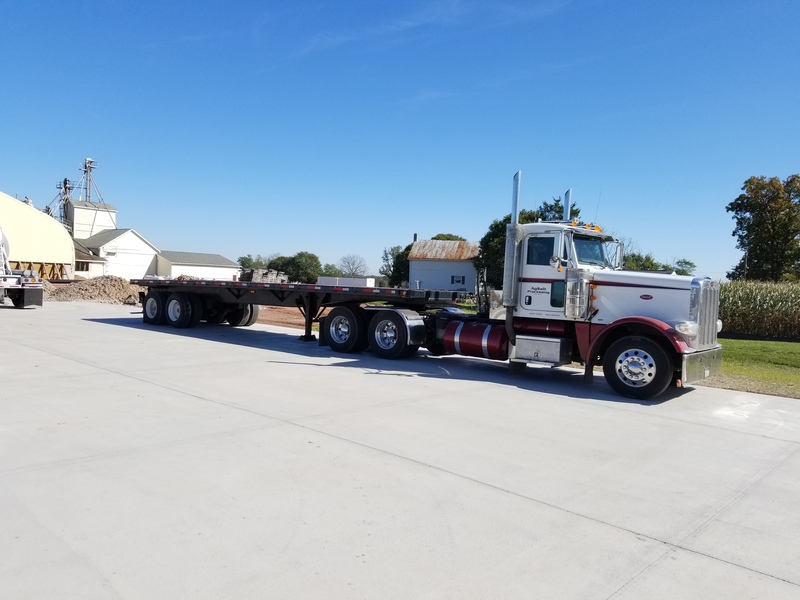 In the past we had stored some of our product off site and were already seeing the effects of turning sharply on blacktop with a tow motor loaded with 6,000 lbs. of product. We believe the extra initial expense (about $100,000 greater than asphalt) will be paid for over the life of the concrete. In addition, the lighter color of concrete will reflect the facility lighting better than a darker pavement” he stated. Mr. Grove also noted that the initial design of 6” was changed to 8”. “The original design would have been adequate, but we were interested in ensuring that the pavement would sustain increased loadings anticipated as the company’s business expands.” Conewago Enterprises, who supplied the 3700 yards of fiber reinforced concrete for the project also provided design support through a program offered through the National Ready Mixed Concrete Association. The service is provided at no cost to the owner or contractor. “We are pleased with the placement, and anticipate future projects that will include concrete. One of which we may elect to feature pervious concrete" Grove stated.